Lists of best books are encouragements to find that elusive one you can't put down. Guilty. Hopefully my list will help you find an enjoyable or satisfying couple of hours. I will be checking other lists and taking advice from different sources. Read over 75 books and although you might enjoy some of the unlisted ones and many are certainly worthy, the listed ones are those that impacted me the most and that I would like to recommend. "Steve Jobs" by Walter Isaccson is about a very complex person who had a strong impact on the world and on me personally. I learned on IBM compatible computers, but when a job forced me to use an Apple, I was surprised at how much easier it was to figure out. Steve Jobs is one of the reasons in his perfectionist drive and his philosophy. But he wasn't such a nice guy to most people he dealt with. 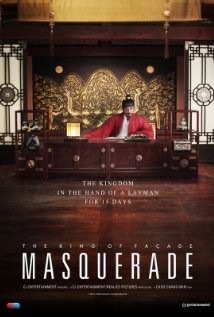 A most interesting life filled with intense compulsions. I read "The Last Crossing" and "A Good Man" both by Guy Vanderhaege, a favorite writer. "And the Mountains Echoed" by Khaled Hosseini as I had enjoyed his two earlier books. Two books recommended by Vijayakumar Mk Nair " The Summer of the Bear" and "The Garden of Evening Mists" were richly enjoyed. "On Sal Mal Lane" by Ru Freeman is deceptive in that it encompasses some serious recent history but by focusing on children in a middle class Sri Lanka neighbourhood interacting with parents and each other. 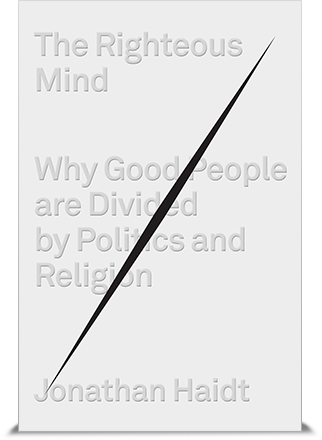 Representing Tamils, Sinhalas and Burghers that divide further with religion. There is no real hate in this group, but there is ethnic/classic snobbery. One connection is through a piano teacher. The first 2/3 of the book is concerned with typical juvenile inter actions, but it stealthily creeps up to the major conflict. From my trip to New Zealand I tried to soak up a little local literature including the classic "The Bone People" by Keri Hulme. A more current one was "The 10 PM Question" by Kate De Goldi. I have gotten interested in two other Kiwi writers which looking forward to reading in 2014. "The Dinner" by Herman Koch was about a complex family problem peeled off layer by layer at a dinner between family members set in the Netherlands. "Snowwhite Must Die" by Nele Neuhaus from Germany demonstrates mystery lovers have a wider world to choose from. Henning Mankell has become another favorite. I read two of his books, "The Shadow Girls" and "A Treacherous Paradise." His writing runs from Scandinavia and Africa. Recently he was on one of the boats trying to get some needed goods to the Palestinians. I discovered Jane Urquhart within the last two years and this year enjoyed "The Underpainter" and "Away." 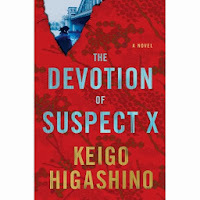 "The Devotion of Suspect X" by Keigo Higashino was the most inventive mystery I recall and then was able to read "Salvation of a Saint" that was also very enjoyable. 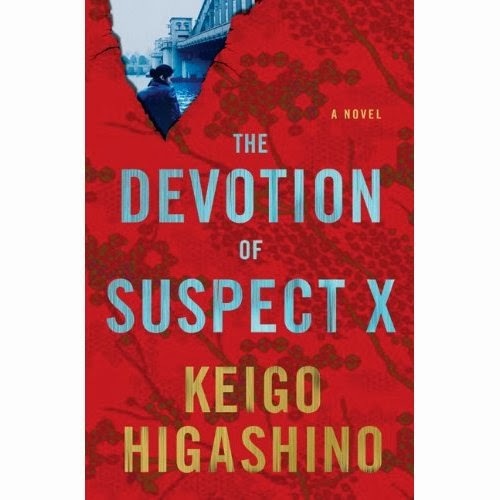 In both cases the mystery solver does not appear till well into the novel. 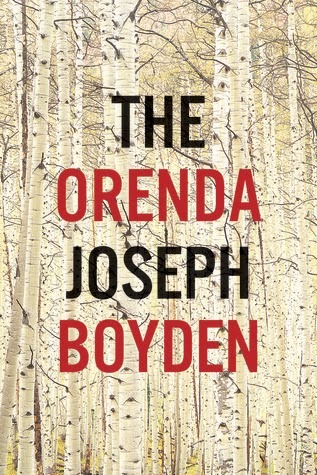 "The Orenda" by Joseph Boylen received a lot of publicity as a "Heather's Pick" who pointed out not short listed to the Giller award, but in her opinion better. I can't say as I didn't get a chance to read the ones that did, but it was definitely one of the best fiction books for me. Joseph Boylen presented the native and priest viewpoints. I fear I have done a terrible disservice to authors who provoked my thinking and stirred my pleasure over the past twelve months, but I couldn't squeeze everyone in. This is just one list that might help guide some readers to some joy, but there are a lot of other joys awaiting you. It took thousands of years of history to arrive at our current Middle East, however some of the critical events played out with World War I and its aftermath. T E Lawrence has become an heroic almost mythical person written about and immortalized in film. Scott Anderson decided it was time to write a book about him that in fuller context would help explain the Middle East. The movie, "Lawrence of Arabia" depicting his funeral near the beginning demonstrates a dichotomy with some people adopting a hero worshiping attitude and others thinking he was up to something. Lawrence came to the Middle East to work on archaeological projects. When World I hit the Middle East he was known to have some valuable knowledge of the language and culture as well as some specific geographical awareness. At some stage he stepped beyond being an adviser into being pro active. One unique characteristic of Lawrence was that he could endure discomfort and pain. He had little if any experience riding camels, but took part in very long treks on a camel to gain respect as well as achieve strategic goals. Most believe that he was sympathetic to the Arabs while being aware of some double crossing by the English and French. The author reminds us that the French were resistant to any plans to involve Arabs in what is known as Syria. In fact because the French would have been unable to take part in a proposed invasion of Turkey close to Syria they supported the disastrous Gallipoli attack. The French and English in secret wrote the Sykes-Picot agreement which essentially split up Syria, Lebanon, Iraq and Palestine amongst themselves. He worked behind the scenes to support the Arab hopes to deciding their own destiny. Some would accuse Lawrence of treason as he divulged some of this information to Arab leaders, notably Faisal Hussein. One example of Lawrence's brutal practicality was when one fighter was killed by another fighter from a different tribe. He learned that if revenge was enacted by the aggrieved tribe, it would lead to more retaliation amongst tribal members back at the home base. So rather than permit an execution by one tribe on another he personally executed the killer. It was common for Arab fighters to kill prisoners because they did not have the capacity to manage them. In some instances Lawrence was forced to accept this. There are many who thought Lawrence was a grand stander and he certainly made a lot of decisions behind the backs of his superiors. Scott Anderson does concede that Lawrence had a well developed sense of fair play and felt the British and the French were not playing fair with the Arabs while trying to use them for their own ends. Juan Cole, complains that the movie, "Lawrence of Arabia" makes Faisal Hussein as not as sophisticated as he must have been in real life. In general he didn't feel that Arabs were given enough credit for the Arab Revolt. Although T E Lawrence is the dominating focal figure, a great deal of context missing from most accounts was added in. Anderson has included a lot of details of other significant persons. The Turks were in some cases humanized, but the Armenian massacre was noted. There were Jewish factions, some Zionist and some not, but they did set up a spy network. Even the British from India created their own pressures on the Middle East as they were anxious to avoid a Muslim rebellion. The British had different factions maneuvering amongst themselves. The Americans did not declare war on the Ottoman Empire, but an oil man was there misleading the Turks and working towards American ownership. The Russian Revolution changed the dynamics. When the Russians withdrew from combat both the Germans and the Turks were able to shift troops to the front against the English, French, Americans and their allies. However when the Americans gradually increased their numbers and their training the Germans and Turks succumbed. Lawrence after the war must have felt himself a failure as he had directed his efforts towards greater Arab independence and found himself impotent in that regard. The creation of Jordan can be traced to some of Lawrence's efforts. He fled to England where many regarded him as a hero, but he sought anonymity and no responsibility. He refused a knighthood. The author feels although there were many factors to arrive at today's Middle East much of it was cast during World War I and its aftermath. We in the West tend to look down upon the inhabitants, but easily overlook at what was done to create the chaos on our behalf. Over half my life has been spent living on a corner house, or more critically well over half of my shoveling life has been. As a youngster I lived in my grandfather's house which was a double lot on a corner used partly for a coal business. My father had moved back home after his father had a stroke when I was about two years old. Since I was about 8 years old (I was the oldest son) I got to shovel the sidewalk. Pretty daunting for an 8 year old, but with no permanent harm. That property has since been taken over by the General Motors Place in Oshawa. After about the age of 16 my family moved to Haliburton where I spent my last two years of high school before going to the University of Guelph. Eventually got a job and lived in an apartment and boarding houses for a few years, then finally bought my first house on a dead end street. Later moved to another house and then rented for two or three years. Finally I moved to my current house and it was a family deal that couldn't be resisted, but it was on a corner. Corner houses do have advantages. I moved into my second corner house during the summer and put more emphasis on those advantages. It is nice to have extra parking spots for your visitors. Your location is easier to describe. However when snow starts to fall it is hard to maintain parking spots and you now have a legal responsibility to clear more than twice the sidewalk space as most of your neighbours. Most just have to worry about the front of the house whereas us corner lot owners also have to worry about the length. There are advantages to all that extra shoveling. Fitness has not always been one of my strengths and shovelling snow did provide a high percentage of my exercise for many years. I am conscious that fitness is something needed to enjoy life more and in fact to shovel snow. Going out into the cold with some heavy shoveling is one immediate cause of heart attacks. Maybe it builds character. Being at an intersection means I get lots of opportunities to help push cars through to the other side. Jean Chretien, once said something about Canadians in that in the winter we need to work together to get our cars going and one way is to rock back and forth until we find traction and persuading a few pushers to help. Since I started writing this between shovel sessions I also walked downtown and noticed a few of my corner house colleagues had set a good example. They had punched out a pedestrian walkway through to the street. I have to admit that that pricked my conscience as I also noticed those who didn't make a cut through the snow pile made it much more difficult to get to the other side. Credit blogging with making me think a little deeper on the subject. I have written elsewhere how I became a cat person from definitely not being a cat person. Out of the blue (actually I remember it was raining) a stray tiny kitten who couldn't be more than a few weeks old came up to our screen door meowing for attention. My first reaction was to tell Sharon not to feed it as I was sure it would mooch off us every day if we let it. She kept coming around and Sharon gave in to the urge and even set up a sort of shelter outside our door. We had another cat and we both felt guilty that during a work day we left her alone all day. I talked to Mary Ditta at work and she advised me how we could introduce the new cat to our house. It didn't work out that way, but I am nonetheless grateful we took her in. Molly our resident cat became very territorial and although she kept her distance her resentfulness never subsided. Molly was much bigger, but Maggie (a name suggested by someone where Sharon works) was faster and could jump higher. Maggie could get up to the heating vents in our basement where she would often hide and then startle someone when she decided to come back down. Maggie craved affection. Over the years because of work changes I got out of bed second and was expected to make the bed. Maggie decided to "help" out. It became a routine and to be honest something I looked forward to. It didn't take much to set her off purring. Maggie, even though she came to us from the outside was a bit of a fraidy cat. She wanted to go outside, but when we put her on a leash she became frightened and wanted to come back indoors. She was shy when we had visitors, but occasionally made an appearance. She was a finicky eater. We searched all over to find something she would eat. After awhile her tastes would shift and we would start all over again. It seems like only a few weeks ago Sharon noticed she was not eating as much as usual and wasn't her usual frisky self. A trip to the vet revealed she had a tumour and we weren't given much hope for a recovery. We tried to make her last while as comfortable as possible, but she got skinnier and skinnier and more and more listless. It is a difficult decision and easy to double guess, but we decided she was suffering too much although we were reluctant to give her up for our own greedy reasons. We took her in last night. It has been very upsetting to know she will never come up to us again to be stroked. Blue Cross Animal Hospital was very supportive and respectful of our feelings. Words can't really do her justice. Maggie was a gift that brought a great deal of joy to our lives. I will try to remember the joy as much as the loss. I am grateful to Renee DiPietro Smyth, a cat lover herself who gave us some advice on how to handle the last few weeks that were very helpful. I am also grateful to Kate Albanese who let me share some of my grief and told me about her own grief over a family cat. Most of all I want to thank my wife Sharon who helped persuade me to let Maggie into our lives, who did a lot of the dirty work (I did some) and who I know is sharing my grief. Dieting is a preoccupation of most adult Canadians and Americans. By dieting I mean going off your eating routine and eating by a number of rules. The problem for most of us is that the regimentation eventually becomes too difficult to continue. And before you know it we are back to our unhealthy habits. Mark Bittman, a food writer for the New York Times is well aware of this cycle and is on a job where it is very easy to eat an unhealthy diet. His job also gives him time to think about what would be a healthier diet. Motivation is crucial and Mark deals with it from different angles. The biggest obstacle is the big change and the tight restrictions required by a defined diet. There is no getting around it most weight reducing diets are a form of torture for many of us. The idea of having one meal free of most restrictions makes it more bearable. Mark is also understanding that we all have cravings for things that are not healthy. He gives you permission to indulge once in awhile. A vegan diet is healthier than the typical North American diet, but is unappealing to most. Being healthy is only one of its merits, though and Mark appeals to environmental concerns. Livestock is a major contributor to greenhouse gases. Most people don't stop to realize that livestock converts a lot of plants to meat, but the plants could more efficiently feed a larger number of people. Plus methane from manure is a very significant greenhouse gas. Mark is advocating a life style change recognizing that it is a more difficult sale than giving desperate people a short term restrictive diet to achieve a goal (however temporary). The core of the book is to switch from processed foods and meat to more fruits and vegetables and the greater the shift the better. He also feels that the effort will get easier as time flows. Ultimately the more effort you put into anything the more you are likely to benefit. My own experience has been somewhat like a yo-yo diet. I have in fact on two occasions lost over 30 pounds in a period of a few months, maintained weight for a few years, but found myself gradually reverting to old habits. The least painful diet was a high fibre diet and later followed by the Fit for Life diet. Both have had a long lasting effect on me in the fact that I do eat more fruits, vegetables and more fibre and less meat. Unfortunately I have not lost my interest in meat or sugar and deal with stress by compulsively eating comfort foods. Mark is aware of this tendency and tries to provide healthy alternatives by way of attractive recipes and dealing with guilt feelings when we let down. The world has opened up and we are now aware of a much greater variety of food options. It is true that food corporations have made a science of enticing us to eat very tasty food and delivering greater profit for the shareholders. Mark wants you to enjoy tasting your food and encourages spices to improve the flavour. Chewing slowly can be part of the strategy as it helps give a feeling of satisfaction before you have over eaten. Synopsis: VB6 requires commitment to eat more plant food, including whole grains; eat less animal products and processed foods and eat much less junk food. 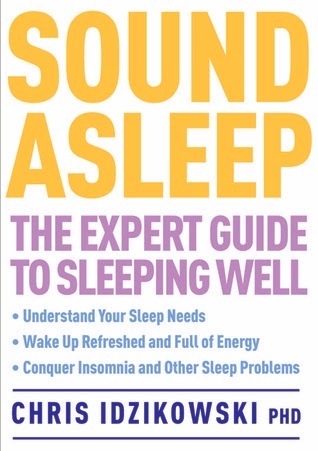 I am glad I read Mark's book and listened to him on the radio. A life style change has appeal and I have been made a few minor painless changes already and am seriously considering making bigger moves. If you are conscious of your own bad habits you would do well to read his book and help you move in a better direction. It is workable if you are willing to give it some effort. Most of my adult working life has been in sales of one form or another. But there was a time I was officially a buyer. Due to downsizing I was unemployed for awhile when Len, my brother in law had a maternity leave for an advertising media buyer. I was grateful for the opportunity, but it required a bit of an adjustment--after all I would now be on the other side of the counter! At first I was probably more sympathetic of sales people and listened to more of them for longer than my predecessor. After awhile though I began to be annoyed. There are only so many minutes in a work day and there are other chores for a buyer such as processing orders, reporting on them and listening to the requests of my superiors with lots of details to worry about. Also I couldn't help but notice that they all claimed to be the best and implied that if I was really doing my job I would buy from them. There is only so much money and always the buyer has a different perspective than the seller. I did appreciate sales reps who actually pointed out things I didn't know or that expanded my awareness. Some were understanding of my situation, but most were a steady stream of why I should buy from them. Needing help I enrolled in a night course for Purchasing at Mohawk College. There I met the instructor Laura and anticipated a lot of how to beat the sales person rhetoric. Wrong! Sales people can provide useful information. Sales people can troubleshoot. You can negotiate with most good sales reps. Some of them are nice. A more specific fear was that the goal of a buyer is to force down the prices. Naturally sales people are hired to maximize profit and on the other hand buyers are hired to minimize expenses to maximize profits. Laura pointed out a fair price is one that allows the seller to make enough profit that they can stay in business and provide support service. If the seller feels they are not making enough profit they will stop negotiating. The goal of purchasing is similar to that of selling. To be more efficient and effective at doing a function that is important to a business. Lots of details to do the job. Purchasing is concerned about timeliness, value, storage, transportation, billing, credit. Getting the right product and/or service to get the job done with the optimal profit. As I have been told by some sales books the ideal is a win-win situation where both sides feel they got what they wanted. Tomorrow is Remembrance Day when we pause to reflect on the sacrifices made on our behalf. Few of my known relatives fought in World War II, but like most Canadians I am aware that great sacrifices were made by our soldiers overseas. Lately I have become conscious of another horrible loss from the wars. The women who were left behind and never reunited with their loved one. gone on to be well accepted across Canada. I had one great aunt who when I knew her was sort of in the way and not just my way. She was my Grandmother's sister, Florence Gibson. She always seemed morose and standoffish. My Grandmother Coakwell was widowed when she was in her forties and took on her sister as a live in companion. My Grandmother was very fond of her grandchildren and many of us spent time at her place. For me I slept over from a young child to an unemployed university graduate looking for a job. I had the occasional conversation with Aunt Flo, but never really warmed up to her. It wasn't until after she died that someone mentioned that my Aunt Flo had had a boyfriend who went off to war. I don't know if he was killed or like other soldiers came back too damaged. The war destroyed a lot of potential relationships and deferred others. We know a bit about the widows, but not so much about the girlfriends. Many women never even met potential suitors lost in war. A lot of good men lost their lives in wars and we rightly celebrate their sacrifices that were critical for us to enjoy our life. They left a lot of women behind who adjusted in a variety of ways, some happy and many not so. If you would like to learn more about "Mary's Wedding" check out http://www.pov.bc.ca/maryswedding.html which includes information a short video clip. This post amounts to a bit of a confession, but I bet many of you can identify with some of my activities. Are you a victim of multi tasking? Multi tasking is a modern pandemic. Too many options and an inability to be satisfied as long as you think something else might be more satisfying. Do you love reading books? watching movies? surfing the net? eating? music? sports? Do you have obligations such as chores? How about all the hassles of making a living? So many things you want to do and so many others expected of you. How can you squeeze it all in? In a previous blog I noted that it really is impossible to do two things at the same time to a high quality. I used the example of eating and playing music. I stick to the basic idea that you cannot appreciate eating and listening to music to the ideal maximum at the same time. But they go well together. Anyway heard someone suggest the multi tasking helps you get through a lot of boring tasks easier so I am using that as a rationale. The addiction is hard to give up even when you realize for each task you attempt you are missing something. I love watching movies and sometimes do so when I am doing household chores or writing blogs, or surfing the net or even working and to be honest I know I am missing something. Can movies be confusing?--sometimes deliberately and sometimes not. Have you ever had trouble sorting out the characters? Or figuring out the plot? Are we watching a flashback or a flashback of a flashback? Or an imaginary projection? 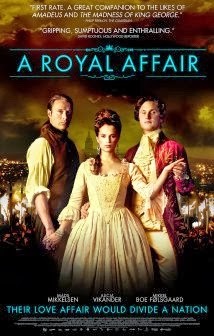 Or how come so many people think this is an exceptional movie? If so, we are on the same page which may not be the page we are supposed to be on. As a parent of young children I remember having to wait with my young son before going to school. I got into the habit of watching a movie with him on tape, stopping it as we had to leave for school and continuing the next day. It is true you get more out of something if you finish it before taking on another task, but it is better to make use of little bits of time the world provides. In order to watch as many movies as I do, I watch many of them in snatches and often while doing something else. Along the way I developed the habits I live with today. I had heard about special features, but for awhile thought of them as gimmicks to increase sales. At a family function talking with my cousin Linda and her husband Derek I explored the idea of special features. I got inspired to check them out and came to appreciate some of the benefits. Director commentaries can clear up a lot of confusion. Also help you to appreciate some details that otherwise would get overlooked. Featuring details helps you understand. Some details I never appreciated were with costumes and makeup, but nevertheless felt the effects of efforts made. A friend of mine, Shawn Hagerman took a film course in university and loved to tell about mistakes his university prof pointed out in class. One I remember was from "The Graduate" where the characters drive over a bridge in actuality the opposite direction to the supposed--it wasn't the truth, but it wasn't a mistake either. Lots of movies change details and make all sorts of alterations so that the story will be more understandable or more enjoyable. Casting is often discussed. The world is becoming more intertwined with actors crossing national and even linguistic boundaries every day. Mads Mikkleson, Marion Cotillard, Anupam Kher, Kristen Scott Thomas, Bruno Ganz have been spotted speaking several languages. I watched Jodie Foster in a French movie. Music is a feature that adds to my movie enjoyment. Composers have the problem of having to follow the visual presentation and help set the mood. One feature on the Three Colors series really demonstrated how music can be very integral to a film. Another feature showed a composer who collected a variety of sounds to use in movies as a sort of special effect. I watch a lot of Bollywood movies on DVD and have found many have a feature just devoted to song, sometimes following them in sequence reminds me of the movie. More interesting are features devoted to the making of a song or a general discussion by the composers--I watched my favorites, Shankar Ehsaan Loy on a number of their movie projects. I should add that I don't like a movie to be overwhelming with special effects, but obviously they can enhance your enjoyment. I realize that most of what you watch is not what it seems, but the illusion makes the movie better. Its the overwhelming exaggerations that can get tiring. Watching the special features is not a short cut, but they can help deepen your understanding. Hopefully you don't get too distracted. It has become a ritual for me and my wife attending the Mum show. I think the photos tell the story. The show is at Gage Park, in Hamilton and runs to November 3rd. You can actually buy potted mums November 5th. The tropical room is part of the show. Even those of us in poor physical shape take a lot for granted. We are mobile enough to get from one point to another, to feed ourselves and to easily use a remote control. We don't like to think about it, but being totally helpless is almost or even more frightening than death. 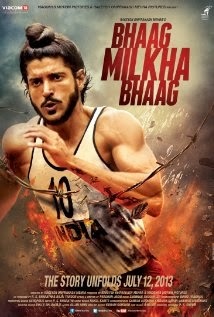 Many movies have portrayed this helplessness and I have chosen to discuss four foreign ones where the lead character is physically helpless. "The Sea Inside", "The Diving Bell and the Butterfly", "Guzarrish", and "The Intouchables". They were all well done and perhaps because they personalized a great human fear each left a strong impact. SPOILER ALERT--the endings are important to the discussion. I think you can enjoy these movies even after knowing the endings. To create sympathy for the main characters there had to be a contrast between what was before, and what happened after the cause of paralysis. Usually either a flashback or some pre event coverage established the dynamism for the main character. Another method was by projection where the main character was imagined to be doing something impossible. and desirable, especially well done in" The Sea Inside", but also in "The Diving Bell and the Butterfly" and "Guzaarish". Another common denominator is that each protagonist had a sense of humour which helped them to get through the ordeal. In "The Diving Bell and the Butterfly" the viewer was privileged to hear the protagonist's thoughts and we could laugh even though the other participants didn't get the humour. Each protagonist displays a humorous perspective on their situation. The rest of us can be so pompous and deluded that we can't laugh at ourselves or our situations. 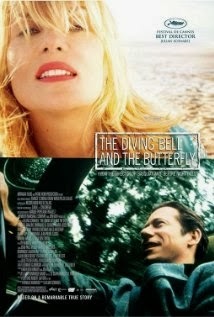 "The Diving Bell and the Butterfly" (2007) starts with us the viewers looking through a hazy veil from what we soon learn are the eyes of the protagonist, played by Mathieu Amalric who is not sure what has happened. He takes awhile to realize he can't speak and can't move. We viewers are also privileged to hear his thoughts and go through some of his confusion. The staff at the hospital have already devised a scheme to help him communicate, but it is very arduous requiring the therapist to go through the alphabet (arranged by most heavily used letter to least used) and stop when Mathieu blinks with his left eye. His speech therapist played by Marie-Josee Croze becomes very upset and leaves the room when she learns he wants to die, but comes back and apologizes. She later takes him to church to meet with a priest. She has one of the most beautiful smiles I have ever enjoyed at a movie. Director Julian Schnable elects to use flashbacks and projections. Mathieu had left one lover (mother of his children) for another, but after his paralysis his wife (in the screen version) tended to him, but at one point she had to pass on a message that he wanted to see the other. This total type of paralysis was labeled "locked in syndrome" and he could only move his one eyelid and part of his tongue. Julian Schnable director, and Ron Harwood, writer, created movie based on autobiography of Jean-Dominique Bauby. Emmanuelle Seigner, and Max Von Sydow had significant roles. At one point a fly that Mathieu cannot shake away is used to illustrate his helplessness. In real life Jean-Dominique Bauby, was an editor at Elle magazine and spent most of his time writing his autobiography. At the end we are told that Mathieu's character dies a natural death. Won at Cannes. Originally saw this movie because I had checked movies with Niels Arestrup (a Rod Steiger type of character) and noticed this one. 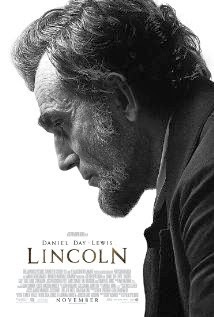 Niels had only a small role, but I got to see a big movie. "Guzzarish" (2010) Hrithik Roshan is the top male dancer in Bollywood and is often seen in muscular roles so a contrast was strongly made. He really can act and in this he plays a magician where one trick went tragically wrong causing him to be a quadriplegic. He becomes a popular disc jockey who occasionally gives inspirational speeches to other quadriplegics. His nurse is the actress, Aishwarya Rai Bachchan, once considered the most beautiful woman in the world who secretly loved our hero. Near the beginning of the movie, a fly on the nose is used to illustrate how helpless Hrithik is, but in this case after trying to wave his head to get it to move Hrithik actually smiled calmly when the fly sat on his nose. Towards the end of the movie he is tortured by constant raindrops on his head with no one to protect him. Like Javier, Hrithik has to deal with priests who try to deter him from his wish to die. When he got angry he sometimes asked his nurse and others to break a vase to help relieve his tension. He doesn't win his court case despite persuading trial prosecutor to be in a box to illustrate how unbearable helplessness can be. He is alive at the end having just married Aishwarya, but I am not sure what his intention was as she married him knowing that his fortune had been long gone and she would inherit nothing. Won awards for special effects--Hrithik's "mishap" is shown with spectacular realism. 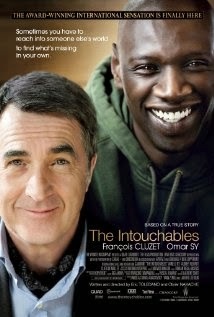 "The Intouchables" brings a rich man together with a poor man. Francois Cluzet is introduced to us as a wealthy, cultured quadriplegic in the process of hiring a male nurse aid. Omar Sy is just trying to keep getting his welfare money and wants the protagonist to sign a form. Francois is intrigued and ends up hiring him and it is an adjustment for both of them. Omar is forced to sit through a number of high cultural events, but eventually he lures his quadriplegic boss to another level of culture which they both enjoy. Omar expands the quadriplegic in different ways eventually bringing him to marry a woman he was too shy to approach directly. Francois kicks back a bit with a little deception of own and the two go para gliding, the activity that caused the paralysis. This is based on a true story and ends with a note explaining that two real characters were still alive and enjoying life. This movie was entertaining and successful commercially. There were a few scenes of physiotherapy where you could appreciate the problems keeping a quadriplegic healthy. Unlike the other movies there was no court case. Switching to an earlier English language version, "Whose Life is it Anyway" originally a British tv drama in 1972 then turned into a theatre play performed in London and New York. Written by Brian Clark. In 1983 it was redone for a movie with Richard Dreyfuss. The former sculpter becomes a quadriplegic as the result of a car accident. The play is about philosophical arguments for and against being allowed to die. In a court case he fails to win his desire. Christopher Reeve deserves a mention as he really was paralyzed after an equestrian accident.and did do a few movies that in some ways hit just as hard because the viewer had seen him as Superman. He was known as an actor who turned down glamorous roles for more worthy challenges. He accepted Superman because of the challenge of also playing Clark Kent. By being open about what it was like to be a quadriplegic Christopher made more people aware of it and raised money for spinal chord research, some of which has had impacts. He went to Israel as they were more advanced in research. He became a political activist as there was right wing religious resistance to stem cell research. He also headed an organization to make independent living for paralyzed people more feasible. He died of complications. Legal issues revolved around the right to die. All court cases resulted in denying an end to suffering. In all cases the protagonist struggled with a sense of purpose. Life and death matters concern us all. All living creatures naturally seek pleasure and avoid pain. As thinking beings we think we can evaluate our own circumstances. As feeling beings we are subject to emotions overwhelming logic. We do not allow animals to suffer, but a fellow human being is too close to us and we can't usually imagine suffering enough to want to die. Sometimes a life and death decision is called for. Who gets to decide? Who wants to decide? A natural concern is that those with a vested interest might manipulate. What do you say to someone who has lost the ability to take care of themselves, to enjoy the things that made life enjoyable to them and who feel helpless and dependent on others. Even though we may love them they feel horrible about being a burden. Ultimately I believe the decision should be made by the person involved, although as outsiders we want to be assured that is a real and informed choice. As outsiders we take a lot for granted and we can be self righteous about the importance of things. For us the viewer--how often do we take the gift of life for granted. How often do we complain about our limitations? How often do we abuse our bodies and minds with junk? Some people think bad misfortune is for a reason and that people can benefit from their challenge. This has been my 200th post. Thank you readers for encouraging me to get this far. Sheena Iyengar appeared on Fareed Zakaria's tv show" GPS" and got my attention. The subconscious mind programs the majority of our decisions. This past two years have presented me with many book versions of this theme. In her book, "The Art of Choosing" Sheena uses mute animals to make a point. In a zoo, animals are fed and sheltered with no need to be anxious. They also have no need to choose. In their natural state animals make a lot of choices and strive to be safe. In zoos with a lack of choice their longevity and fertility are negatively affected. 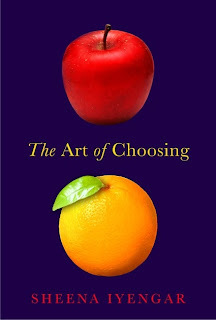 Studies have shown that when people are given choices that let them control parts of their lives they react positively. Sheena Iyengar (who is blind, but does indeed have strong visualization skills) spends a lot of her book demonstrating that the subconscious which she labels "automatic" does control a lot of our decisions that we are totally unaware of. She points out that our "reflective" conscious mind does have some control. Our mind has developed short cuts that automatically make decisions in a seamless manner. We can become aware of many of these shortcuts, but it is a continual battle. The idea of "choice" has a cultural context. In the western world, particularly the United States it is something that is precious and the more choices we have the better. The author makes a point going back to her parents' Sikh wedding which was ritualized and most critically, arranged. Most in Western culture think choosing marriage partners for love is the superior way, but some studies have shown that in fact arranged marriages can have happier outcomes than romantic choices. At another stage she points out life and death decisions have shifted in our culture from an authoritarian expert (eg doctor) to those most directly involved. There is regret on all sides for painful decisions, but some people are comforted that it wasn't their decision. In fact in lots of matters we defer our decisions to experts because we are confused and/or don't want the responsibility. Fashion is one example she brings up with a multitude of colours chosen by "experts". In our choices we will automatically have many made for us, but we can choose which decisions we want to reflect on. For some choices we might want to rely on the advice of a trusted contact. An example given on the tv show was that Barrack Obama has elected to simplify his choice of what suit to wear by limiting it to two, one black and one blue. Saves his energy for more important decisions. The number 7 is a critical point in that we can usually handle up to 7 items to choose from, but beyond that we have difficulties in weighing options particularly if they are very similar. Giving a consumer too many choices can actually cut sales or prolong restaurant selections. Sheena recognizes that we can apply science (in the sense of using our reasoning powers) to our most important decisions, but in fact we have to decide where we want to make the effort. That is where the art comes in. One problem we now have is that there are so many desirable choices that we regret even a good choice that might have been even better. We also can spend so much time sorting through options that we lose time to enjoy our choice. 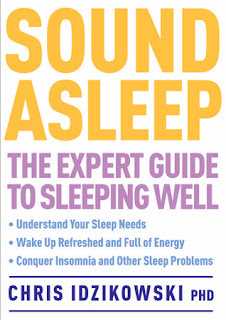 I am conscious that I seem attracted to books that deal with how the subconscious mechanisms control us and inflict a good number of those on readers willing to put up with them. An underlying concern is free will--do we actually have any? An elusive question, but I like to think that writers like Sheena Iyengar give us tools to exercise free will. After posting about decades worth of my career I left out four years of selling office supplies. If you are open minded you should be learning something every day and that proved to be the case. Bouncing pay cheques is what drove me to selling office supplies. I saw a classified ad and responded to it. Superior Office Products was close to where I lived and they were willing to take a chance on me. It was a few months before the background to the job offer was explained. I didn't know much and one of the challenges was that I was selling from a catalog which meant thousands of different products. I never became an expert for most of the products, but did learn a lot about the more commonly bought products. Fortunately for me our company encouraged manufacturing reps to visit so I got to understand more of the products and also meet contacts that could help me nail down a sale. I also went to a few trade shows. Product knowledge is critical to sales success. Words can only take you so far. Prospects have heard pretty much everything you have to say and answered a lot of the same questions ad naseum. A quick demonstration often gets their attention. One of my favourites was to demonstrate a bottle of white-out that didn't spill. You can guess the reaction when I tipped one at a prospect. It not only got their attention, but spurred many to want to repeat the demonstration for co-workers. One sales rep gained a lot of big customers by standing on a storage box to demonstrate its strength. The idea is not so much to sell the item, but to get attention. Then you can develop a relationship that allows you to sell what they need. At a group meeting learned about a very successful sales rep from Windsor who sold to Ford Motors. We were later told that Ford didn't do business that way, however my fellow sales worker managed to keep under the radar. His secret was something I tried to develop with some success. He would visit various departments and ask about what typewriters, printers and fax machines they were using. Sooner or later the company would have a sale on the ribbons or paper for those machines. At first he just sold items on sale, but over time they appreciated that he was very useful and he would get other bits of business. He worked his way up to selling $1 million annually to Ford--not bad for being under the radar. The concept of commodities eluded me until working in this field. As a salesperson you try to highlight your product's uniqueness. But when products are not so unique the key factor is generally pricing. It helps for you to realize that service is a key to overcome a price fixation. One sales rep explained to me how one of our competitors offered lower prices. They paid their staff poorly and thus had turnover. That meant the sales reps never got to understand their customers and were not able to service them properly. Obviously it takes time to understand the products, services and prospects being sold. One chair salesman pointed out that our competition should be expanded to include any others who are chasing after the same limited amount of dollars a customer might have. He used example of new start up business where they first buy a computer and then usually a big impressive desk for the boss. A lot of odds and ends before they get around to the chair for the secretary who my expert said has the whole business resting on her pelvis. I thought he exaggerated a bit, but in fact I came to appreciate the truth after two of my customers were desperate to get a chair to keep a secretary from quitting. The point is that everything can be important and that it is up to you to convince your prospect that what you are selling is more important than they realized. Feeling I was missing too much I asked to go around with the top sales rep, Bill Clark. At the same time I was nervous and didn't want to leave a weak impression. So essentially I forced myself to say more than usual on a sales call. He pointed out that on an initial cold call you are taking their time and if you want a second visit you need to avoid taking up too much of their time. When companies downsized employees were often given extra duties such as buying office supplies, but that just further cramped their time. When it came time to check back to the office for messages he pointed out he always used the 800 number to avoid paying a quarter; tells you how long ago this happened. Before too long I found myself with a large number of customers and prospects. For many customers I was only a secondary supplier or worse. In an earlier job I used newsletters and later on developed it even further. But one of the key concepts comes from when I sold office supplies. I had a fairly big geographic area. And even when I made sales calls many of them were only a very few minutes long and the decision maker was often not there. A newsletter helped communications. I tried to make it useful information, threw in a contest and explained a wider range of what I could offer (for instance furniture). It seemed to have a positive impact. My daughter Heather helped me keep track of my computer records and I learned a lot from her as I did later with my son Michael. Part of the value of a newsletter and computer was to free up time for prospecting. We were paid a higher commission on accounts during their first year. One strategy for me was to watch the daily order sheet for the whole office where I would come to realize categories I had been overlooking such as certain types of retailers. Mike Bromilow was able to give me data bases for small companies in my area. At one time I subscribed to small town newspapers to learn of businesses. Now to the background story. At the beginning three of us newcomers (of a sales staff of 6) had been promised a certain level of income. That didn't concern me because my commissions were increasing every month and I enjoyed the work. Aside from our inexperience what the 3 of us didn't know was that our predecessors had left to work for a competitor and were calling on many of the same customers. However one day my boss, Elizabeth Arvay added on a whole lot of house accounts, something I didn't understand. House accounts were basically small accounts (sometimes relatively bigger companies) that just phoned in the occasional order for something their regular supplier didn't have. Once I understood I started calling on them and they started calling in more orders. House accounts were created to save money for the owners, but in fact they need attention or they will drift away. Special orders were those orders not in our catalogue or warehouse. I believe it was originally intended as a service to established customers, but I soon learned it was useful to get new customers. I didn't really understand that often a client would want 5 of some item and the company needed to buy 144 so they actually lost money and often ended up with a storage problem. As a salesman I could be greedy, but I came to appreciate that profit comes from revenue minus expenses. Still many of those new accounts would buy more profitable products. Superior Office Products was a Quebec based company which had a few advantages. One was that by Quebec law salesmen got vacation pay based on their commissions and still earned commissions while they were on holidays. I also learned they have different holidays in Quebec--we in Ontario used to be jealous that they had Jean Baptiste Day a week before Canada Day, but didn't realize they didn't enjoy the civic holiday we got in August. A few years later I was asked to proof read a calendar and was able to point out they had the wrong holidays for their Quebec market. For 18 straight months I sold more than the previous month. Then seasonal factors and then structural factors became a concern. The structural factors were mainly box stores that sold many of the same products with huge discounts. I had customers and prospects start to laugh at my prices. Like many other companies we cut our prices, but what I didn't quite get was that the box stores were able to cut prices on high volume items and they usually didn't even bother to stock items that didn't turn over rapidly. As time went by I became more conscious of customers not always paying their bills on time and this affected my commissions. During this time there was a financial downturn that I became conscious of when I found one of my real estate customers had locked me out and in fact had gone out of business. Others followed. In our office were several phone operators who basically took our orders and passed on messages. I didn't realize that one was devoted entirely to chasing down unpaid bills. I remember one resistant prospect who suddenly opened an account and made a fairly large order. I learned about half an hour later that they had overdrawn their account with one of our competitors Basically I learned that a sale is not a sale until you get paid. All this meant our company downsized and I was forced to leave and over time they closed. Interesting I did some business with Elizabeth when I sold pet products a few years later as her daughter bred cats. Not the first time I was out of work and I sought advice. One good idea turned out to be checking on my previous customers. One of them liked me enough to recommend me to a competitor office products supplier. I didn't know what to think of Cloke's as after all they had been a hated competitor. I was invited for a meeting with Gary Schumacher and in popped Pat, a former employee from Superior who I respected a lot. She reassured me these were good people. Ironically a few years later Gary was a similar reassurance when I became involved in the pet trade. Gary was a great boss. He was patient and understanding. At one time he got a complaint about me being too pushy. I was afraid I would be in trouble, but he looked at it differently. As he explained he wasn't actually certain his sales reps were making as many calls as they claimed or if they were as aggressive as they needed to be. He explained that it is great to be persistent, but that I had to learn not be a pest. I am actually sure that I am fairly passive compared to most sales people, but the problem is reading the prospect to understand when they have reached their limit, ideally stop pushing before that point is reached. Gary introduced me to another idea. Often when you away from your desk (such as driving around your territory) ideas and contact information comes to you before you can write it down. A recording device lets you keep track of these things and allows you to retrieve information and ideas at a more convenient time. Talking into the device saved time compared to trying to write down the details and I often had trouble reading my own writing. Another staff pointed out to me that the phone staff sometimes were too busy to handle a bunch of orders I would phone in and too often details would be incorrect. A fax phone was arranged for me to send in written orders to cut down mistakes and make better use of everyone's time and helping me understand fax phones better. I ended up using it for some volunteer work for a swim club. When I look back I have also since learned to use a digital camera to record some information, but that was many years later. There came a time when Cloke's fell victim to competition which more and more was big box stores and I was again forced to leave. Gary must have taken a course in the procedure, because I ended up admiring him even more when he gave me the word. Cloke's after a long history has disappeared. The world has changed and is still changing, but there are always things you can learn from your experiences. Everyone in the world is concerned about the madness in the United States. How could such a situation arise. Why would anyone want to shut down the government? I don't have any inside information, but to me a good part of it is transparent. The American government has been bought. There is some wiggle room, but it is diminishing. Out of any crisis things could change for the better (or not). Obamacare which he is proud to associate his name or the Affordable Care Act that apparently is more acceptable to American voters is only a symptom of the problem. The Affordable Care Act is actually a step in the right direction, even if it does offend some of the wealthy or the ignorant. It is astonishing how many lies have been accepted. Americans don't question why most other industrial countries have cheaper and more effective health care, or where medical problems are not the most common basis for bankruptcies. It is true that at the top there is undoubtedly greater medical expertise in the U.S., but that is not accessible to most of the population. The level of national debt is also used as an excuse, but the concern is hypocritical. One solution is not all that strange--raise taxes and enforce payment better. You may be concerned that job creators will be offended. Of course they will shift jobs to slaves and robots as much as they can, but they should not be rewarded for that. It is also very short sighted as they depend on a consuming public that now doesn't have the money or the job security. Being too greedy is like biting the hand that feeds you. I don't think rich people should bear the entire burden of paying off the debt, but they have benefited the most. in terms of infrastructure, opportunities, educated workers and consumers, and surprisingly (to many of them) regulations. The debt crisis accelerated with the George W Bush regime with their major tax cuts for the wealthy even in the face of an unnecessary, but expensive war with questionable accounting. They botched a legitimate war, thereby prolonging it. The de-regulations and superficial financial oversight were root causes of the disaster that Obama had to deal with while those who caused it constantly complained and wanted to use their previous remedies--lower taxes and less regulation. The Republicans are now very self righteous (in reality defensive) that they are the ones willing to negotiate and the Democrats are not willing to compromise. The Affordable Care Act is one example of a compromise--straight from a Republican think tank and adopted by a Republican governor, Mitt Romney himself. It has proved itself not to be the end of the world, at least in Massachusetts. Republicans routinely tack on repealing Obamacare and abortion demands to unrelated bills to not only make their points (to their base), but slow down government. There have been over 15 requests to negotiate budgets all rejected by House of Representatives controlled by Republicans. They now are offering piecemeal bits of budget, to make themselves look good, but avoiding more difficult budget issues. They don't like it when the Democrats push back. Americans can blame themselves. In the 2010 mid term elections the trouble began with lots of criticisms of slow recovery and how awful Obamacare is. Obama was hemmed in with his idea of a stimulus heavily criticized by Republicans who wanted austerity (except for the military industrial complex) and lower taxes. Progressives were disappointed that Obama didn't seem to fight harder for their agenda. Republicans had much less trouble getting out their committed voters. They were then able to gerrymander voting districts to maximize their resources something which is done every ten years by the winners of state elections and now improved with technology. Tea partiers are resentful of being called racists, but there is evidence they are not immune to prejudice. Some surveys have revealed that Obamacare is hated, but the Affordable Care Act is more acceptable. Racists realize it is not politically correct to use obvious terms such as the N word, but have developed codes. Many are not so coded with Muslims who are safer to denigrate. I don't think most Republicans are any more racist than the general population, but they do take advantage of racist thinkers. Americans are much less racist than they were a century ago, but the feelings have not yet completely died. I have read that the Republicans are controlled by Evangelicals and Tea Party members neither of whom seem particularly open minded. Moderate Republicans are still active. An original cause is that party strategists at one time realized their economic policies were not enough to get power and they harnessed themselves to "social" issues. Racists used to vote for Democrats, but when Lyndon Johnson signed some Civil Rights legislation Republicans were quick to establish their credentials as against extreme civil rights, and although trying to be politically correct use lots of code to create a bond. They learned that abortion and gay rights are issues that overcome obvious economic concerns. Gun rights fit in with corporate agenda. In my opinion they all made America less of a fair and free place. Throughout history people have realized money very often decides elections, yet there are fewer and fewer restrictions on political donations. The recent outrage over the IRS masks the fact that even more campaign financial abuse has been accepted. It is a complex issue that boils down to the fact that in order to get elected a candidate is required to spend more money than in the past. They have to spend more time fundraising. The money comes with expectations and the big money with greater expectations. The fundraising time takes away from actually studying the issues and making reasonable compromises with those who have different priorities. Media benefits from increased advertising revenue and they try to fan their ratings with horse race coverage. The wealthy have bought their way. Much of their high income is taxed at 15%, inheritance taxes have been lowered and they are able to hide money offshore. How can they get away with it? Why tolerate gerrymandering? Why tolerate increased voter restrictions? Why tolerate campaign finance abuse? How can they get out of this mess? Both sides are accusing each other of causing a major disaster. The Speaker of the House decides which bills are put to a vote and Republicans avoid offering anything that they are not sure will go their way. A big fear now is that with gerrymandered districts, a Republican has more to fear from their base than they do from a Democratic opponent. The voters can alleviate the situation in 2014 if they choose to do so. Some solutions require a long term effort.